facility, doctor's office or at a busy intersection. Help get the word out: The Pill Kills! American Life League, Human Life International, Pro-Life Wisconsin, Pharmacists for Life International, Archdiocese of Mobile Respect Life, Operation Rescue, Jill Stanek, Generation Life/Brandi Swindell, Life Education Ministry, Pro-Life Unity, Movement for a Better America, AMEN (Abortion Must End Now), Pro-Life Action of Oregon, Children of God for Life, Expectant Mother Care/Chris Slattery, Mother and Unborn Baby Care, Defenders of the Unborn, California Right to Life Education Fund, Delaware Pro-Life Coalition, Life Guard, Homeschoolers for Life, Focus Pregnancy Center, Central Texas Voices for Life, Dubuque County Right to Life, Couples for Christ Foundation for Family & Life, Central Nebraskans United for Life, CREDO of Rochester, America ASLEEP kNOw MORE, WomanKind Medical Center and Right to Life Advocates, Inc.
We continue to hear about the dangerous effects the birth control pill has on our environment. 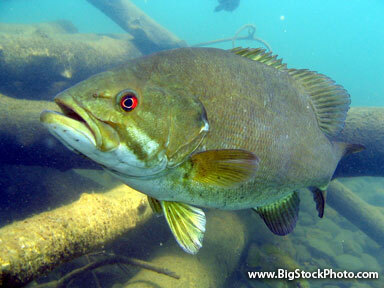 Study after study has shown how the chemicals from the pill discharge into our waterways and wreak havoc on the fish. Is our fresh water really fresh? According to Conrad Volz, co-director of exposure assessment at the University of Pittsburgh Cancer Institute's Center for Environmental Oncology, 'We need to pay attention to chemicals that are estrogenic in nature, because they find their way back into the water we all use. '1 In fact, according to the study conducted in Pennsylvania in 2007, Volz and his team discovered that the fish caught inside the water they were testing may be carrying enough chemicals that mimic the female hormone estrogen to cause breast cancer cells to grow.2 Why should you be concerned? Think about the water you drink. Think about the fish you eat. Could your own drinking water be infested with high levels of estrogen? Studies have shown that the male fish swimming in estrogen-rich waters are becoming feminized. What kind of effects would take place if we drink water containing high levels of estrogen and eat these contaminated fish?